Bank of England is planning new liquidity measures to take the control of financial matters. Furthermore, pound is falling against the USD. GBPUSD started today with bearish bias falling down the descendant channel. 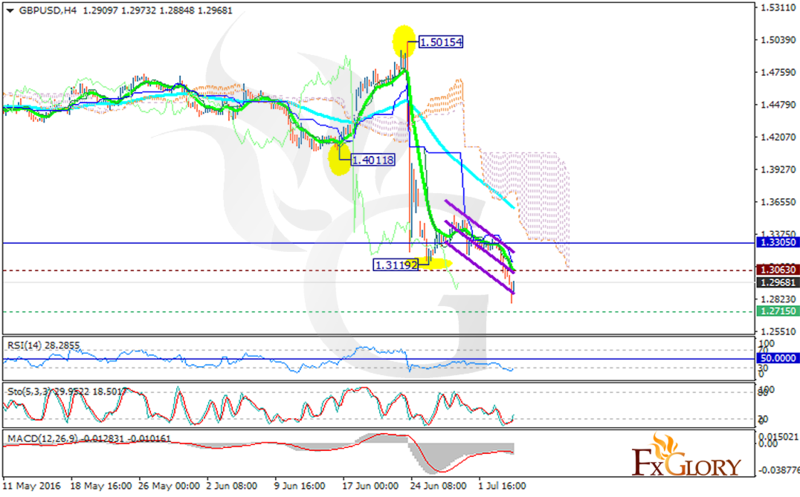 The support rests at 1.27150 with resistance at 1.30630 which both lines are below the weekly pivot point at 1.33050. The EMA of 10 is falling down as well and it is located below the EMA of 75. The RSI has hit the oversold area at 30 level and is trying to rise, the MACD indicator is in negative territory and the Stochastic is showing upward momentum. The price is under the Ichimoku Cloud and it is under the Chinkou Span. The Tenkan-sen and the Kijun-sen are both showing downward movement. The pair may fall lower to 1.29 but it would rise soon targeting 1.30.